PDF Manager Ultimate is a well-rounded PDF file managing system allows you to convert PDF, compress PDF, merge PDF, split PDF, sign PDF, encrypt PDF, mark-up and edit PDF files follow your inclinations. PDF Manager Ultimate is not only a PDF converter, compressor, but also a PDF editor, extractor, annotator, encryptor&decryptor etc. which can help you manage PDF files in a smart way. 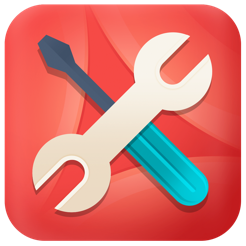 ● Compress your PDF files to get more storage space. ● Merge multiple PDF files into one PDF document as required sort order quickly. ● Split one big PDF document into several PDF files. ● Extract specified pages or remove the unwanted pages out from a big PDF file effortless. 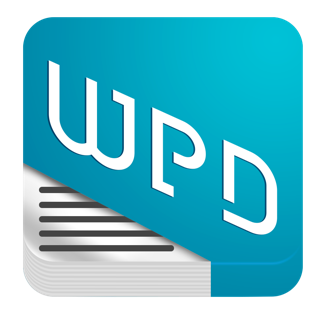 ● Extract your wanted txt or Images out of the normal PDF document or scanned PDF document. 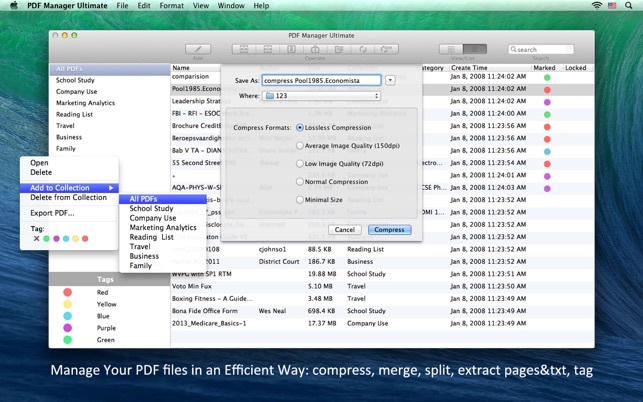 ● Encrypting your PDF quickly and easily. ● Convert native PDF document to Word, PowerPoint, Excel, Text, Pages, Keynote, Rtfd, ePub, HTML and Image. 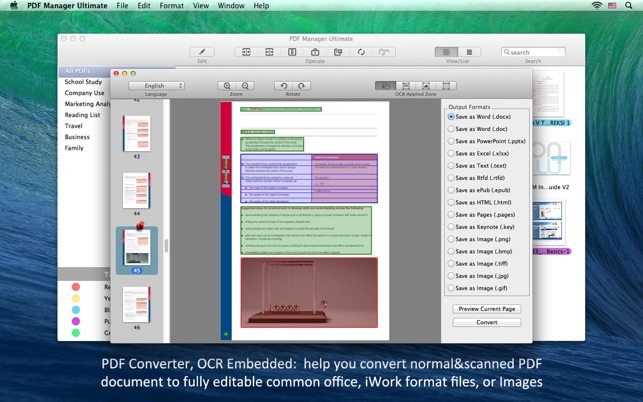 ● Convert scanned PDF document to fully editable Word, PowerPoint, Excel, Text, Pages, Keynote, Rtfd, ePub, HTML. ● Support convert encrypted PDF documents. ● Superior OCR technology built-in. ● Recognize over 49 languages: English, French, Italian, Chinese, German, Russian, Czech, Turkish, Portuguese, Polish, Romanian, Ukrainian, Greek, Croatian, Bulgarian etc. ● Supports convert OCR PDF files that composed in multiple languages by select the option “Choose Multiple Languages" first. 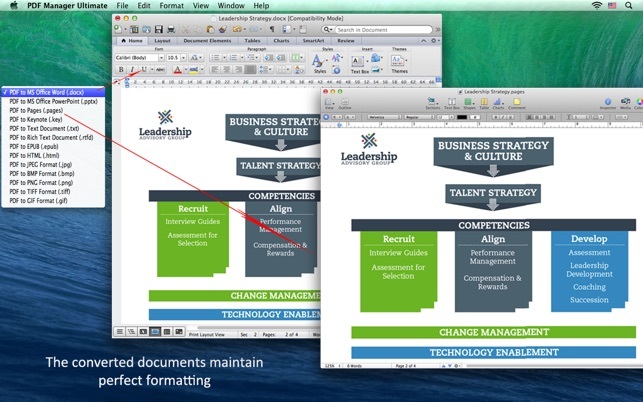 ● The converted documents maintain perfect formatting. ● Reproduce and edit your PDFs in other programs. ● Rotate PDF file page with ease - Left & Right. ● Two different operating modes – File View & List. ● Highlight, underline, and strikeout text directly with clicks. ● Support add shapes to PDF files, including Rectangle, Circle, Arrow and Line. ● Quickly and easily add sticky notes to jot down comments, questions, or feedback. ● Type on PDFs – Typewriter text boxes supported. 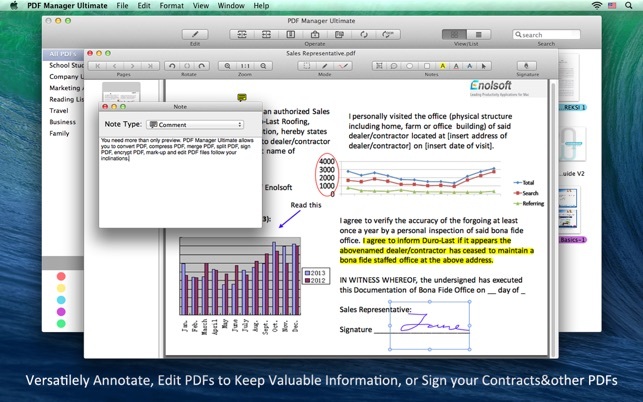 ● Digitally and quickly sign and counter-sign your contracts or other PDF documents. ● Very easy-to-use experience, drag-n-drop supported. ● Surprisingly simple and intuitive interface. ● Standalone software: NO Adobe Acrobat or Adobe Reader needed. I have many PDF files for my work, I usually set many folders to distinguish them. But sometimes it is really difficult to operate. My ferried jokingly said that I need a manager. Why not? Maybe there are many people having the same problem and developers also found this business opportunity. As expected, I found many applications having this function in Mac App Store. Tell you the truth, I chose this app by my feeling. But I was luck, I made a right choice. I can import all of PDF files to it, and I can break them into categorize. Of course, there are 5 colors I can use to recognize my PDF files. With this app, I needn't worry this problem anymore. What's more, this app seemingly supports more functions, but I didn't use them up to now. Maybe I will use them in the future and I believe that they will the same useful. Just bought this, since I’m in need of converting a large pdf to a word doc. The pdf does not contain any graphs or other fancier elements—just text, with large margins, lots of footnotes, etc. It converted it, but the resulting word doc is unusable: large exclamations points are all over it, some blank pages, and most of the important formatting stripped out. I’m disappointed. I’m giving this two stars (rather than one) because this is the only feature I tried (and care about), and it may be the case that this app does a great job in other respects. don’t know. But as for converting from pdf to word, I feel like this was a waste of time and money for me. It honestly looks no better than the copy-and-paste job I attempted earlier. This application almost covers all the function of PDF tools. And it does a good job in every aspect. I have no reason to dislike it. 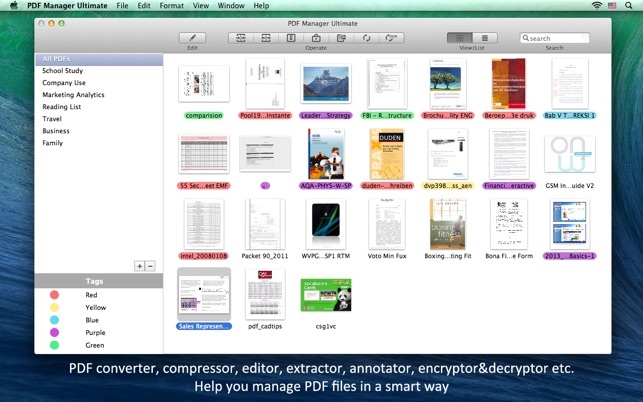 I used this app to manage a lot of PDF files so that I can merge, split, compress, extract etc. I was searching for a full function application for I usually compree a PDF needing a compressor and extract a text needing an extractor. This application solved the problem perfectly. What's more, it also supports convert PDF file to other formats. To my surprise, it actually can convert PDF file with OCR!!! This is really a good deal. © 2013-2016 Enolsoft Co., Ltd. All Rights Reserved.